Here's a bit more, decided to switch to something simple first until I'm totally comfortable with line sketching digitally(I have the feeling I might need a bigger tablet for that). The third one is from reference photo the others totally random. I need to go into suggesting a bit more subtle details and using finer lines I think. I've decided that's about time to take some steps to improving my line drawing skills, especially getting used to do it with the the tablet. 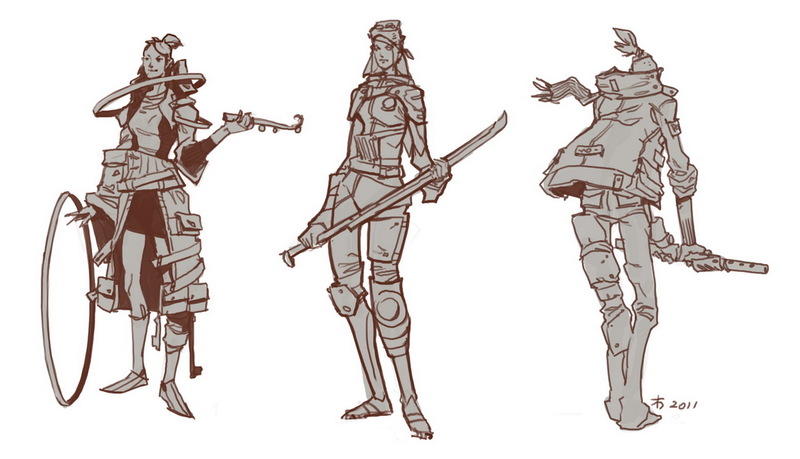 So here are some quick experiments on top of simple thumbnail sketches I did to a different degree of success. 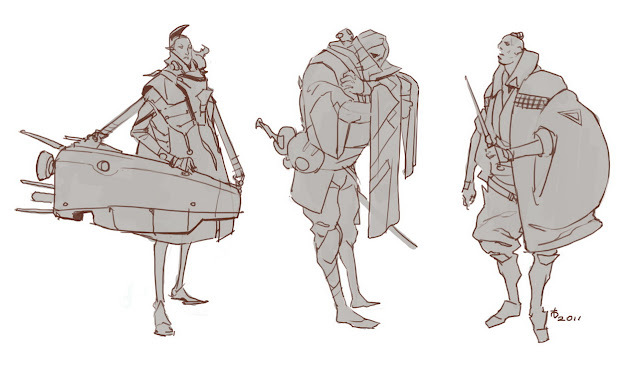 Switching back to line after years of mostly painting and quick sketchy thumbnails is way harder than I expected, and makes me thing about going back to some serious figure studies for a while. More of those to come soon!